The Colonial Academic Alliance is awarding four grants totaling $156,500 to kick off its new Innovate/Collaborate (IN/CO) program. Elon, N.C. (Updated April 24, 2018) – The Colonial Academic Alliance is awarding four grants totaling $156,500 to kick off its new Innovate/Collaborate (IN/CO) Grant Program. 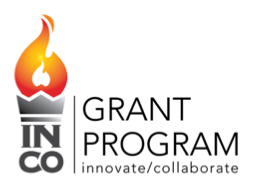 The grants are the first to be awarded under the Alliance’s new IN/CO Grant Program. The IN/CO Program was launched in 2017, providing grants of $5,000—$20,000 per year (for two years) for initiatives that address pressing policy challenges in higher education; fuel collaboration between institutions; enhance institutional excellence; and promote innovation in intellectual inquiry. IN/CO Grants were created to fund teams of faculty and staff from two or more Alliance member institutions. Awards were selected by the Alliance’s Provosts’ Council, its governing board. Any future opportunities for funding will be publicized on the Alliance’s website, www.caa-academics.org. The Colonial Academic Alliance facilitates collaboration and communication across its 10 member institutions. Its purpose is to engage faculty, staff, and students in meaningful initiatives that challenge the status quo, enrich the academic environment, and advance student success. Alliance members include the College of Charleston, University of Delaware, Drexel University, Elon University, Hofstra University, James Madison University, University of North Carolina Wilmington, Northeastern University, Towson University, and the College of William & Mary.